Super simple gift wrapping for the Teacher Gifts this year...glassine bags, shipping tags, paper flowers and some red tulle at half price from Hobby Lobby. 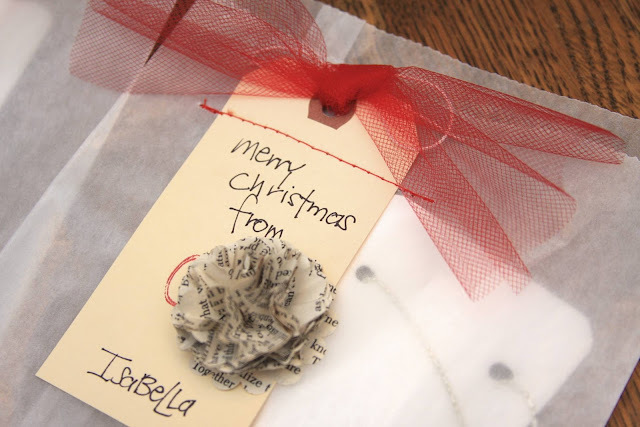 I embellished the tag with a bracket shaped stamp before adding the flower and then sewed across the shipping tag. After punching a hole where the hole in the shipping tag is, I threaded through the red tulle and tied a knot. The Scrabble Tile necklaces are from here. Isabella's Teacher had been speaking of ribbon candy and we were lucky enough to find some so that Isabella could gift them to her. Makes me happy that she wanted her Teacher to be happy! Hoping you'll join us as we try our hand at some of the fun art projects that I've been adding to my Pinterest board to try out this week. I love your paper flowers! 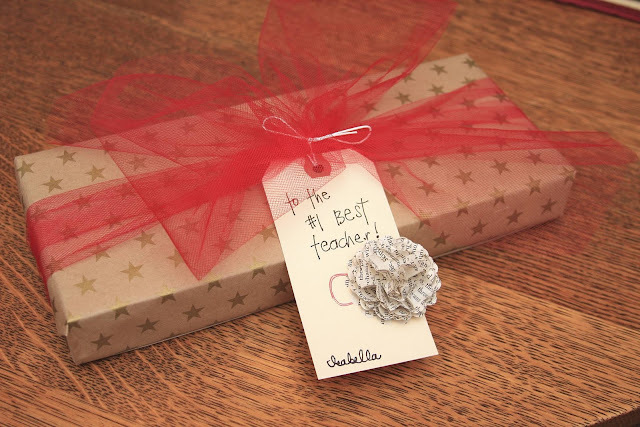 The text is just so pretty, and it's perfect for a teacher's gift! Cute, cute, cute tags! Love 'em! 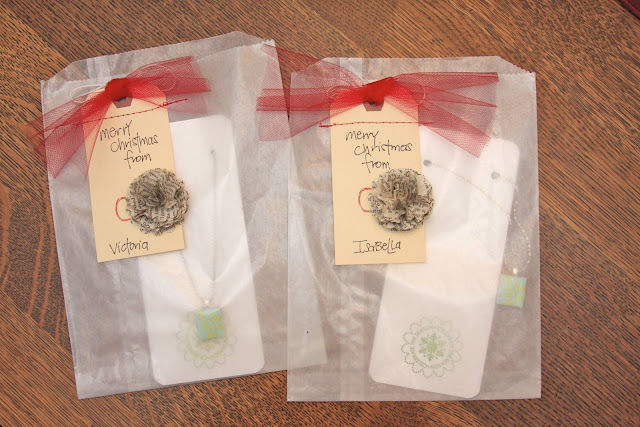 Beautiful necklaces, and cute wrapping from your darling girls. I'm loving the paper flowers! !